Established in 1998, with a history spanning more than 18 years, we pride ourselves on providing quality used vans to our hundreds of regular and happy customers. 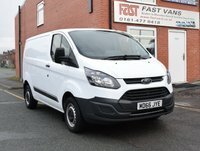 Whether you need a small, medium or large van, you can be sure that we have something to suit your needs. 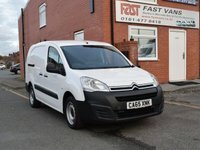 At Fast Vans competitive prices and a first-class service can all be expected as standard. All of our vehicles come with a service history, a warranty, are HPI-checked and generally are one owner. We also offer tailor-made finance packages at very low rates. Each vehicle is thoroughly assessed by our onsite Mercedes specialists to assure that your van is in perfect condition. 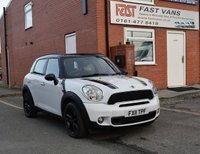 At Fast Vans, our services do not end with you purchasing your vehicle. Our dedicated aftercare team is here to make sure that your vehicle remains in the best possible condition from the minute you drive away. Visit us any day of the week and have our knowledgeable staff help you choose the vehicle that is right for you. Click the link above to read testimonials from other satisfied customers. Please do not hesitate to contact us for further enquiries. Fast Vans is owned by Olexus Ltd.